Fully Automated Birthday Card Service Helps Professionals Show Customer Appreciation for Clients. (PRLEAP.COM) Created as a marketing tool for professionals, the Birthday Company's corporate gift delivery services are designed to turn birthdays into business by encouraging company-client rapport. Establishing relationships with clients is vital to building future business-after all, it costs 10 times as much to acquire new clients than to keep old clients-but maintaining those relationships is the key to building a network of referrals. 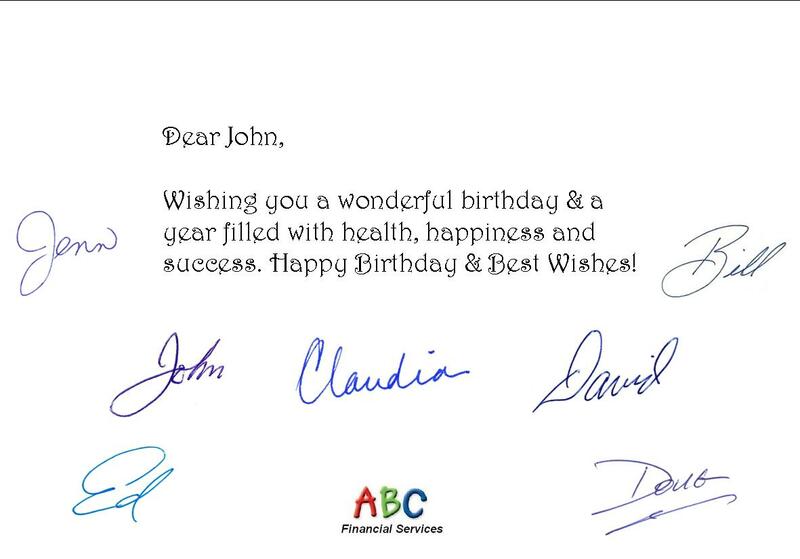 Maintaining client relationships is the Birthday Company's specialty. By simply creating a free, password-protected account at http://www.birthdayco.com, sending in a list of client birthdays and addresses and choosing a budget, the Birthday Company will establish an automated corporate gift program. Choose to send a birthday card for just $2.95 (includes postage) or add gifts like chocolates, cookies, candy, music CDs & Gift Cards. Every mailing includes your return address, your signature(s) and company logo. Once the client database has been created, it can be fully accessed for changes or additions at any time. The Birthday Company will keep track of what gifts have been sent to which clients, and will never send the same gift twice. The Birthday Company also offers holiday client gifts, as well as thank you and congratulatory gifts and cards.